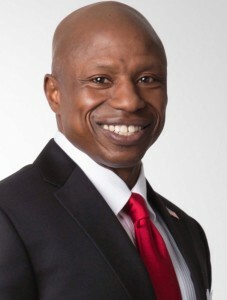 At today’s Colorado Republican Convention, air force veteran Darryl Glenn was the only GOP candidate to make the Republican U.S. Senate ballot, upsetting state Sen. Tim Neville, who many thought had it in the bag. In response to the upset, Team Neville indicated that they were surprised, but respected the wishes of the people. According to the GOP, Glenn took the top line with 2,664 votes to Neville’s 696, Littleton’s 219, and Natividad’s 193 votes. All others took fewer than 100 votes. Glenn gave an enormous speech, which likely shifted dramatically the dynamics of the convention. There are four candidates petitioning on the ballot – Jon Keyser, Ryan Frazier, Jack Graham, and Robert Blaha. The Secretary of State has yet to deem their signatures sufficient. Just as soon as Glenn finished his speech I knew he would be the one to beat. I voted for Neville but enjoyed Glenn's speech and based upon that speech I know Senator Bennett can be beat! I had the pleasure of hearing Darryl Glenn speak multiple times and met him in person on the eve of the convection. He is the real deal, a true conservative! So happy for you Daryl. Let me know if you need a volunteer!